Now hear this… To avoid long page load times and make photos easier to find, we will be transitioning our “Misc photos” page to 3 new pages: Photos – People, Photos – Places, and Photos- Equipment. This will take a few weeks, so be patient. If you have any problems finding what you’re looking for, just contact us at the links on the bottom of the Home page. That is all. 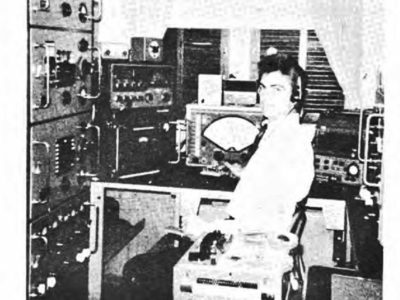 Society member and amateur radio operator S.G. “Spud” Roscoe, VE1BC, continues his in depth examination of Nova Scotia maritime wireless history. You can find much of this on his website, which is well worth checking out. Spud hopes to self-publish a number of books on the subject. We’ve recently been in touch with 19 (!) members of the Society of Wireless Pioneers, like David Eisenberger, 4522-M (shown above), and are happy to make their re-acquaintance. If you were a member just let us know by clicking on one of the contact links at the bottom of the home page. We’d be glad to hear from you. Speaking of old acquaintances, when we learned that two SoWP members, Jon R. Benson, 4553-M (KB3XY) and Gary Ferguson (KN4IUK) lived in Panama City, Florida, we kept our fingers crossed that they were still “alive and kickin” after Hurricane Michael came through. The news was filled with reports of how it had leveled whole sections of the city. But these seasoned mariners managed to ride out another “blow”, if shoreside this time rather than at sea. Jon reported that although the 155 mph winds took out his porch and some roofing shingles, he and Gary made it through OK. In fact, they drove around and documented the devastation on DVD. We’re thankful that the damage wasn’t much worse, as it was for many victims, and may post some photos in the future. It’s our sad duty to report the passing of Hans Buehler, a long-time member of the SoWP Edelweiss Chapter in Switzerland, on July 27th at the age of 77. 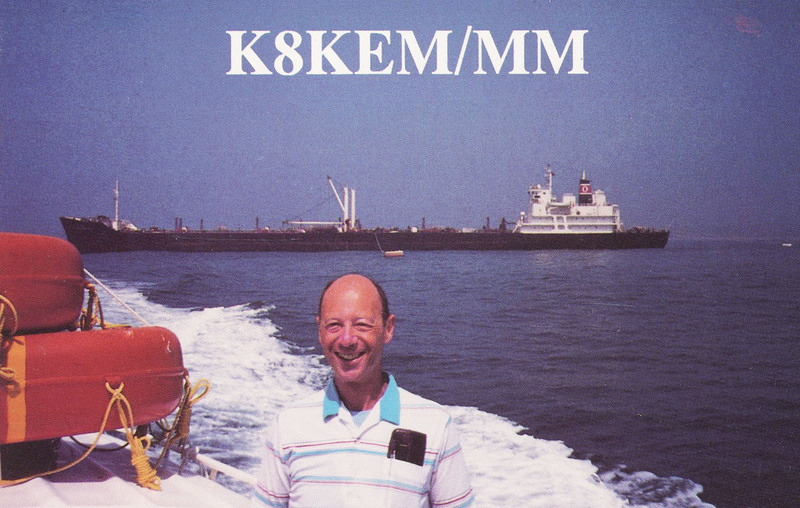 Hans had been involved in amateur radio since 1958, and held the callsign HB9XJ. His commercial radio activities began in 1963. 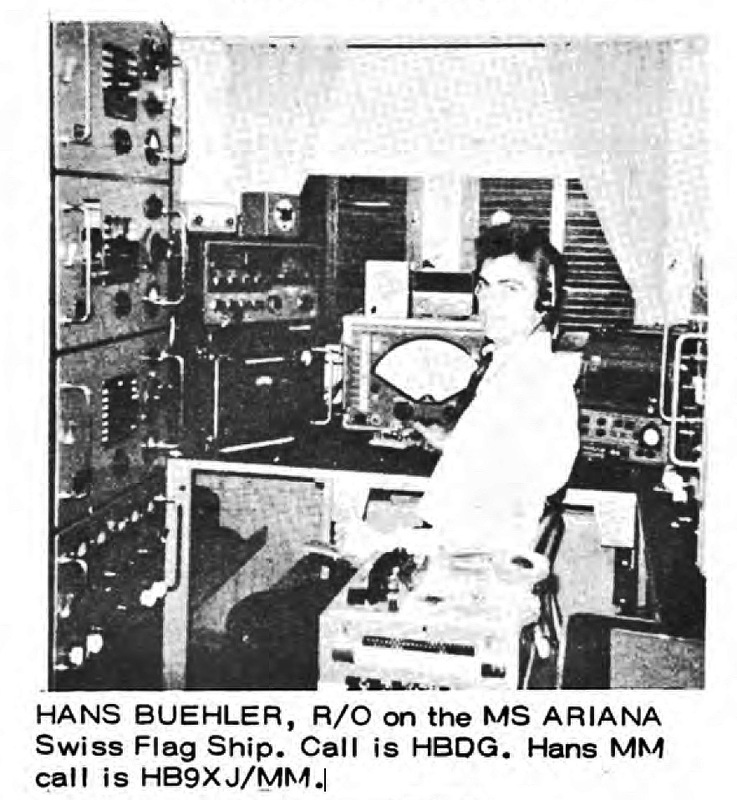 He was a radio operator on a number of ships, including the MS Ariana, as shown below from a 1979 Sparks Journal. Our condolences go out to his friends and family. William Breniman founded the Society of Wireless Pioneers in 1968. William Breniman had founded the Society of Airway Pioneers in 1958. We only recently became aware of this and also that SoAP is an active organization with nearly 500 members! Their membership consists of those who are or had been involved in the Federal Airways System and those who were crew members, dispatchers, or DOD Air Traffic Personnel. Check out their website at this link. We’ll keep you posted on this remarkable intersection of aviation and wireless interests. The California Historical Radio Society’s Radio Day by the Bay was again a success thanks to the many volunteers and patrons who showed their unwavering support. Ye Ed picked up a classic R3 horn speaker from Magnavox of Oakland on which to monitor 600 meter distress calls. So far, fortunately, none have been heard. Thank you, and we’ll start looking forward to Radio Day by the Bay 2019! We were recently informed of the passing of longtime SoWP member Joseph Lodato by his son. He was 95. 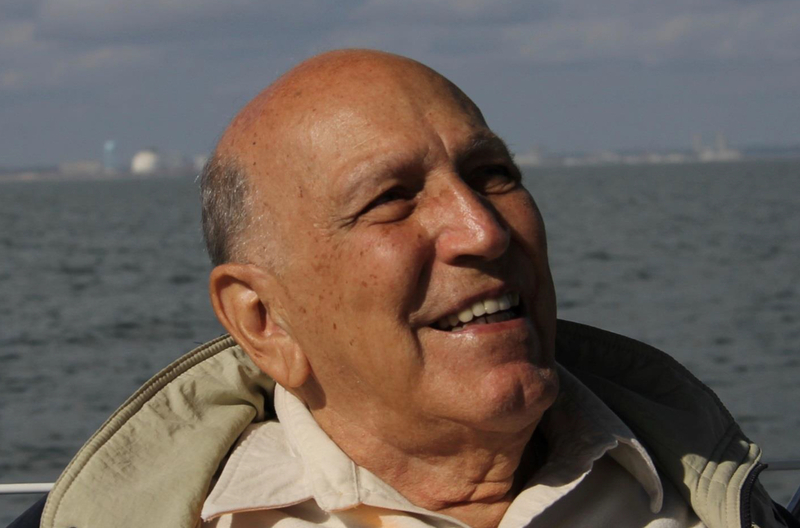 Born in New Orleans, Joe was a graduate of the Naval Radio School at Gallups Island and served his country as a radio operator on Liberty ships in the Merchant Marine. After the war he went on to a distinguished career in electronics, retiring from Naval Electronics System Command after 24 years. Our condolences go out to his family and friends.